The concept of something as intangible as a design calling consumers’ attention to a tangible product is a concept that goes back more than one hundred years with brands such as Pepsi, Valvoline and Jack Daniel’s. These logos of yesteryear might be largely unfamiliar, but the way designers chose how to construct a likable image has stayed close to the same as font has always played a large role. Ford Motors introduced their first logo to the world in 1903 and while it might be a far cry from the cursive four-letter word that we’re used to seeing on a blue background, it nevertheless piqued people’s interest by employing a curved stroke on the “M” in motors rather than the “F” in Ford. A smooth touch that seems to speak to the smoothness of not only the car’s design, but the quality of the ride itself. Now, although what a company sells and how they present their image might seem like two separate aspects of a product, they have a lot more to do with each other than one might imagine. Just think about another well-known brand like Adidas. Despite changing the presentation of the three iconic stripes, the font has stayed the same throughout the logo’s evolution with the letters remaining lowercase and markedly keeping the clean, sans-serif look. The product very similarly is known for its sharp, tidy look as the heel forms a bubble over the shoe’s rear and its face is defined by a crisp downward-facing angle and another bubble forming over the toes. It’s a simple design (both logo and shoe) that’s lasted decades with the company, but one that’s easily recognisable just like the three stripes that the company is known for. So now that the importance of having a logo that accurately represents a company’s products has been established, let’s take a look at a few industries and how their companies achieve this synergy with their logos and font. Highly competitive sectors are always worth looking into, since the brands that have stood out have done so by paying close attention to all their marketing efforts, including their logo. In a market filled with options for the consumer, online and mobile casinos have to stand out in order to survive and it seems businesses fall into two different categories of typeface when it comes to creating a successful logo. It’s not a surprising thought considering the vibrant extremes land-based casinos go to with their towering neon signs in order to be noticed. 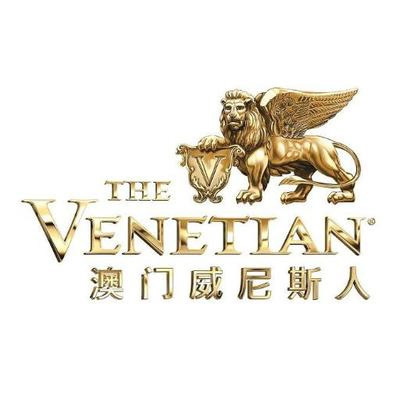 Both Caesars Palace and The Venetian use flamboyant Roman-style gold lettering and even add lavish symbols (an emperor bust and a lion respectively). As for online casinos, they have either emulated or – interestingly – taken the opposite route to their land-based counterparts. The first group is the more traditional bunch. Mobile casino brands such as Dunder, Casino Land or Thrills fall into this group as they employ the most eye-catching design they can, which is likely to make them rank at the top of comparison sites. While images might be used as a logo, they don’t ever intermingle with the letters that create the casino’s name. The second category takes things a step further and incorporates illustrations into the lettering adding a layer of uniqueness and fun to their logos. 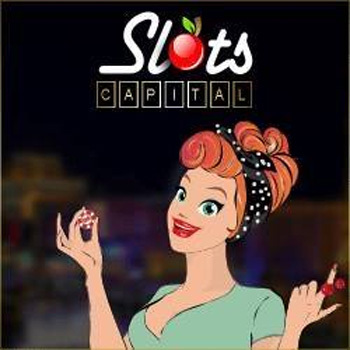 Slots Capital does this as they accentuate the central “o” in “slots” by turning it into a cherry and Manhattan Slots does this by creating the “a” in “Manhattan” with a pair of legs. Both of these designs are far busier than the logos of the traditional bunch, but they have to be as they’re representing a fairly young industry, one that was born shortly after the internet invaded our homes and we could get the thrill of the casino on our couch. Similarly, these fonts give us a newer, modified letter while achieving the same goal of attention to a brand. The online vs. land-based focus of a business is an important consideration in deciding on a logo. Speaking of attention to brand, even with one of the best-known logos out of the way already, there’s still plenty to talk about when it comes to the automobile industry. Let’s go from where the sun sets to where it rises and look at one of Japan’s most recognised brand with Honda. Although the “H” emblem that everyone has come to know is sans-serif compared to the serif letters below it that spell out Honda, both iterations display a certain sturdiness. According to thenewswheel.com, the company looked to inspire durability and trustworthiness with its design, something the cars themselves have become known for. If that wasn’t enough, going back to the emblem, we can see that the two stems that plant the “H” firmly in place separate towards the top as a symbol for reaching out towards one’s dreams. On the opposite end of the spectrum, we can see that the font for the sleeker Mercedes-Benz is trying to invoke something a little different from stability. With an almost skeletal thickness in its line weight in comparison to Honda, the luxury vehicle manufacturer logo strives to showcase a certain delicately refined characteristic that almost seems to hover elegantly in the air. It’s a fine typeface that almost harkens back to some of the minimalistic logos such as Webinteractive and Golf that we showcased prior. 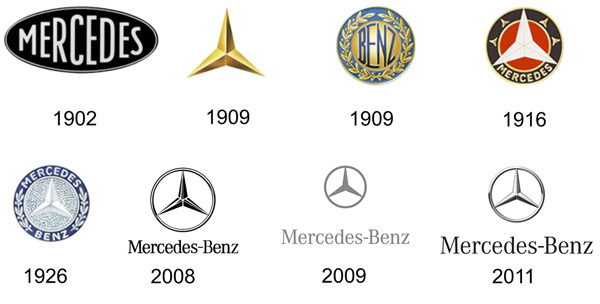 However, Mercedes-Benz seems to capture a level of sophistication with their skinny lettering that not many have been able to successfully replicate. Lastly, we stop at the food industry. Now, if you haven’t checked out our post on 45 effective uses of a fork, spoon and knife in logo design then you really should after this because here we’re going to be studying a couple of more established logos. Where iGaming proves quite busy with its illustrated typefaces, the chain restaurant Chili’s seems to find the sweet spot of sensibility as it boasts not only plump, round lettering, but a nice, colourful chilli pepper to act as a makeshift apostrophe. 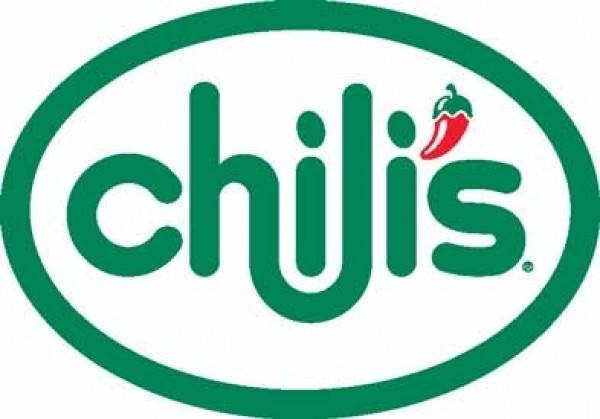 In the newest iteration of the logo, the descender of the “h” in “Chili’s” extends and runs into the bottom of “l.” This connection along with the aforementioned fullness of the letters tells customers that the establishment is cozy while its food is flavourful and filling. We can see this same style of typeface in Kellogg’s logo as well. 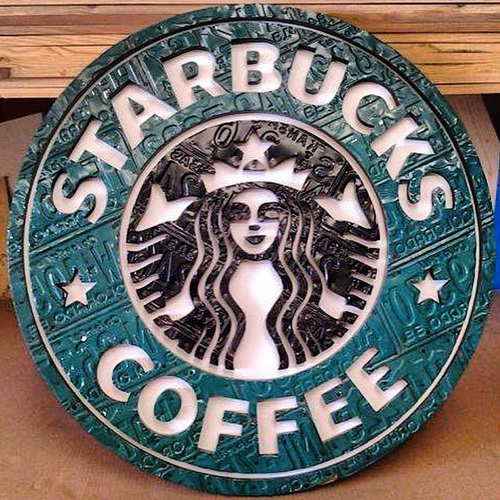 However, if we look at Starbuck’s logo, we can see typeface construction that’s quite different. While we do see some parts of the letters rounded such as the bowls in “o,” “r” and “b,” there are distinct sharp points on the letters that circle the famous, crowned siren. Although the newest rendition of the logo doesn’t have any letters, the same typeface is used on various instances of other merchandise and displays a professional persona while still maintaining a sense of welcoming that you’d get from the little coffee shop down the street. This appeals to the majority of Starbuck’s customers that come in the form of workers looking to get their morning cup of energy as well as the students or book club members looking to spend a couple of relaxing hours taking in a peaceful atmosphere. And that’s all she wrote. Whether it’s the sports store that slants its font to convey a sense of speed or movement or the local nursery that softens its font with thick, rounded lines, each business carefully plans its logo to match not only its product, but the overall feel of the business. So next time you’re out at the mall, look for an unfamiliar logo and try to guess what’s being sold based on the font. After reading this, we’re sure you’ll be surprised with how much you’ll be able to infer from a few, subtle or not, design choices.